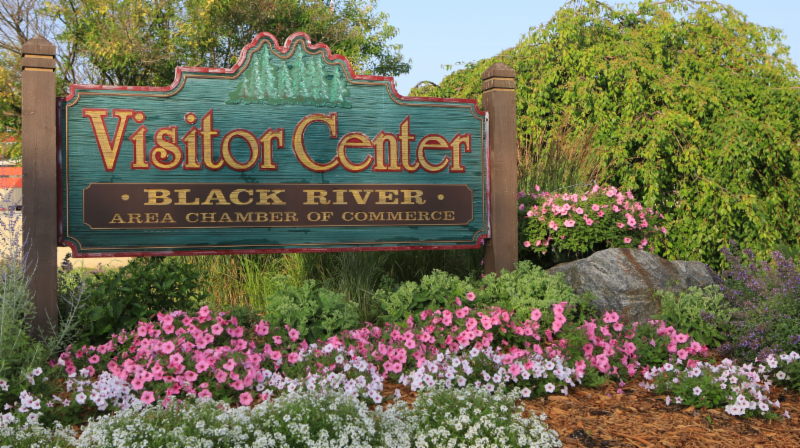 Thank you for your support of the Black River Area Chamber of Commerce. We appreciate your ongoing commitment to the business community. This has been an exciting year at the Chamber. One big highlight is we launched a brand new website. It is completely mobile friendly and it allows us to showcase member businesses and what they have to offer even more than we have been able to do in the past. Our entire staff works hard every day to make the Black River Area a better place to live, work and visit. We are asking for your continued support in 2019. The 2019 Membership Form , Sponsorship Options , Visitor’s Guide Ad Form and Dues Invoices were sent at the end of September. 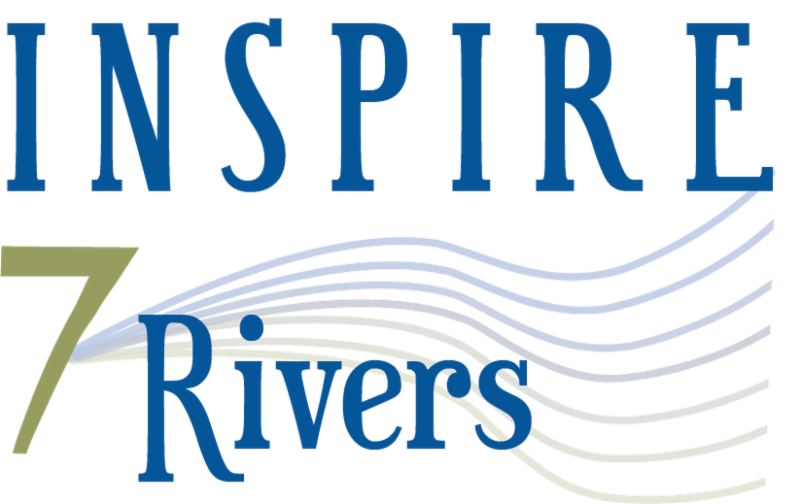 We are excited to announce that we will be working directly with The Print Shop in Black River Falls on our 2019 Visitor’s Guide. While we were happy with the guide Lunar Cow Design published, we’ve decided to do the entire guide locally. Ad prices will remain the same as last year. 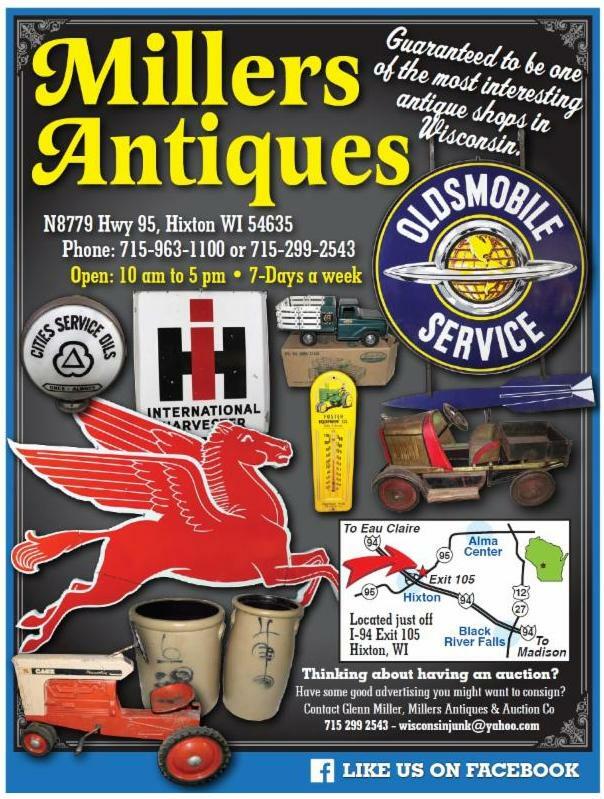 If you had an ad in last year’s guide and would like to purchase an ad again this year, The Print Shop will redesign the ad at no cost to you! On the Membership Form, you will notice a flat rate depending on the division for your business. There are no rate increases for 2019. When filling out the form, please let us know how many employees you have, as we use this information in economic development planning. We have also included an option when paying by credit card: you may split your dues over a three-month period with automatic withdrawal. We are offering Sponsorship Packages again this year. There are three different sponsorship levels and each level includes sponsoring Chamber events, banner ads on our website and being a ‘Featured Listing’ on our website. 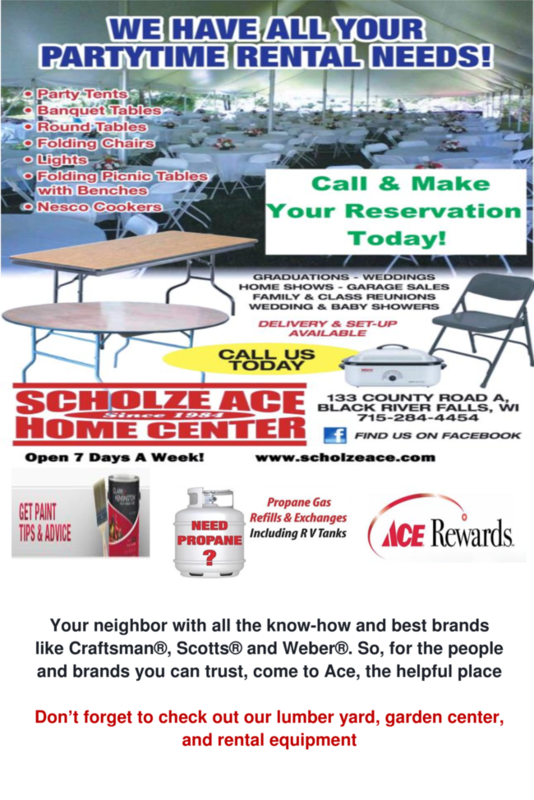 Many of you already support our events like the Annual Banquet, Karner Blue Race and Oktoberfest. This year you can take care of all of those sponsorships at one time and save money as well. Thank you for considering sponsorship support. Of course these sponsorship levels are optional and we will continue to ask for business support for all of these events throughout the year. It’s an option that has proven popular with other chambers. Our marketing will continue to have a multi-faceted approach, combining print, billboards, digital and broadcast. Digital marketing will include social media, banner ads, key word buys and email blasts. We will also continue to promote the many recreational opportunities we have with ATVing, snowmobiling, scuba diving, bicycling, hiking, canoeing and kayaking. The Chamber has an exceptional staff and an excellent Board of Directors committed to serving our members and our community. We look forward to building a stronger business community and with your help and support, we will make it happen. If you have questions or need assistance with any of the documents you received, please feel free to contact our office. 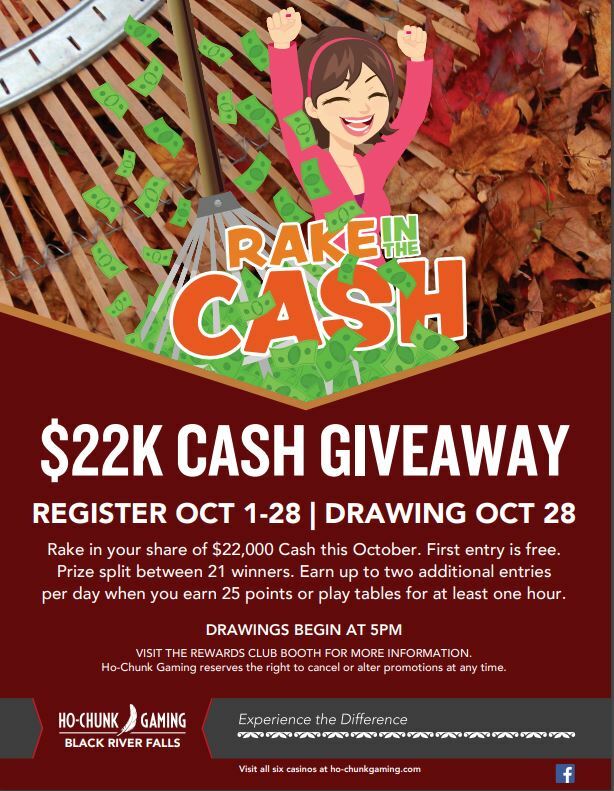 Please note the deadline of Nov. 2, 2018 . A $10 late fee will be assessed after the due date. As an organization that serves local business owners and customers, the Black River Area Chamber of Commerce is proud to support Small Business Saturday® this Nov 24. • Let your customers know that you plan to participate in Small Business Saturday. Visit ShopSmall.com/MarketingSupport for free promotional assets, such as ready-made social posts, to show your support. • On Nov 24, transform your store. Get free merchandise while supplies last to help your business make an impression. 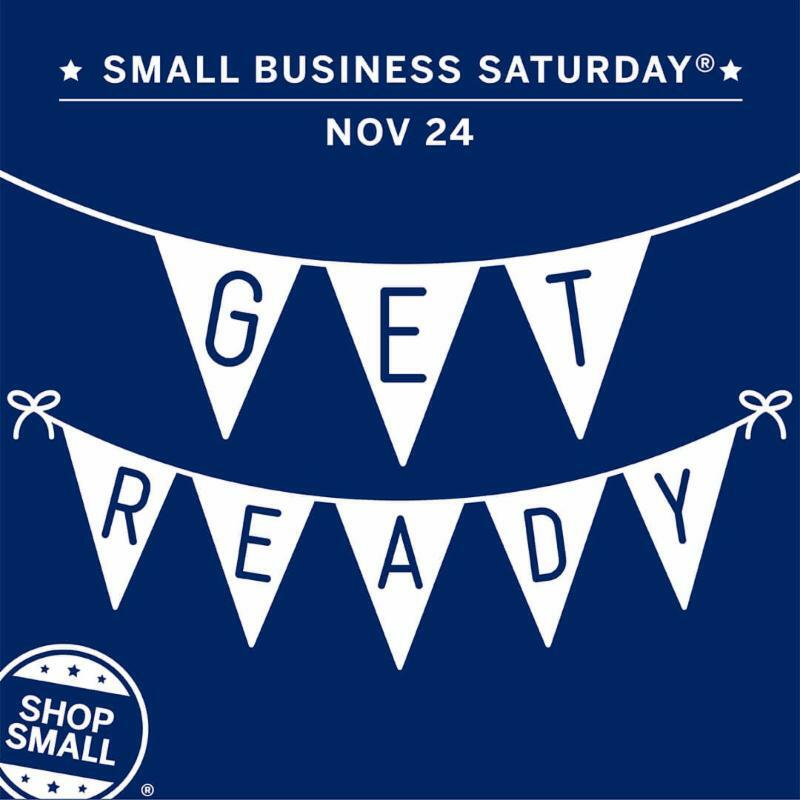 Don’t wait — apply for Small Business Saturday merchandise at ShopSmall.com/MarketingSupport . Terms apply. 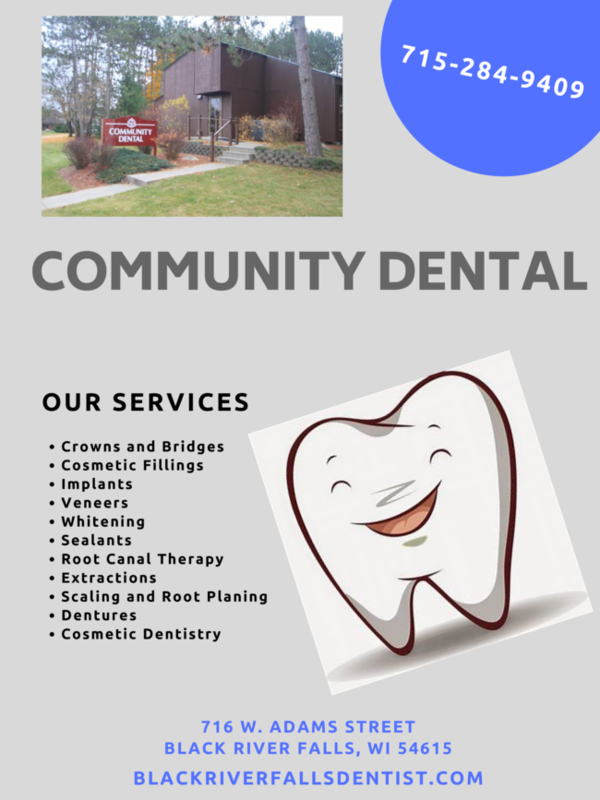 • Connect with your community. Connect with other organizations in your community to see how you can work together on Small Business Saturday promotions. If your business will be having specials on Small Business Saturday, please let us know. We would like to put a list together to share with visitors and on Social Media of all the deals they can take advantage of when they Shop Local! Research shows that 68% of your customers may not choose to return to your business, not because of the product that they receive, but because they experience an attitude of indifference or rudeness by the owner, manager, or an employee. While marketing our state as the Midwest’s premier destination for fun, the Wisconsin Department of Tourism recognizes that in order to deliver on this brand and have visitors return to our state and your business, our customers must receive great customer service. To support this, a customer service program has been developed for businesses and communities throughout Wisconsin. While the premise of the program is rooted in service for the tourism industry, the basic customer service skills discussed apply to owners and employees in all industries. This session will provide attendees with the basic knowledge and skills to deliver outstanding customer service experiences. 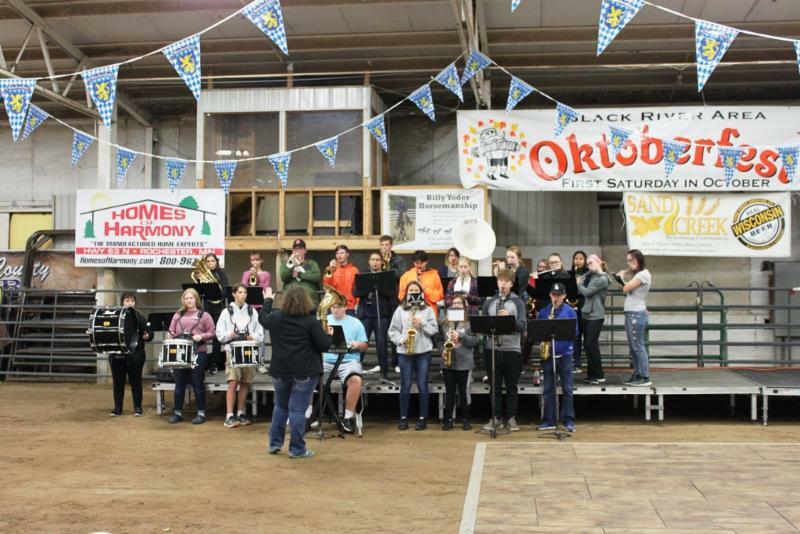 A great time was had by approximately 2,000 people who attended the 12th Annual Black River Area Oktoberfest held inside the Animal Arena at the Jackson County Fair Park, Saturday, October 6th. The Oktoberfest Kick-Off Party occurred on Friday night with live entertainment by Toner and food by Fire Truck Pizza. Sand Creek Brewery owner, Jim Wiesender stated, “The weather forecast concerned us but it didn’t dampen the spirits of the large crowd that came to enjoy the festivities.” The Black River Area Chamber of Commerce (BRACC) and Sand Creek Brewing Company came together once again to create a great event. The Black River Falls Police Department held a brat and hotdog sale fundraiser for their K-9 Unit and raised $1800. Interfaith Volunteer Caregivers Bake Sale, Chinese Raffle and Live Auction also raised $1800. Craft and food vendors offered a variety of hand-made items and delicious food choices. There was great music and entertainment on the main stage all day. Medieval Knight Fight demonstrations were a lot of fun to watch. Children’s activities included face painting by local royalty courts, inflatables, magic and balloon creations by Kris Wrobel, an arts and crafts area and yard games which kept youngsters busy throughout the day. There were 70 car show entries on display and delighted not only car enthusiasts, but all who attended the event. The caricature artist was a new addition this year and many people had a caricature drawn. The photo booth was also very popular. Horse drawn wagon rides through Downtown, were a big hit with young and old alike. 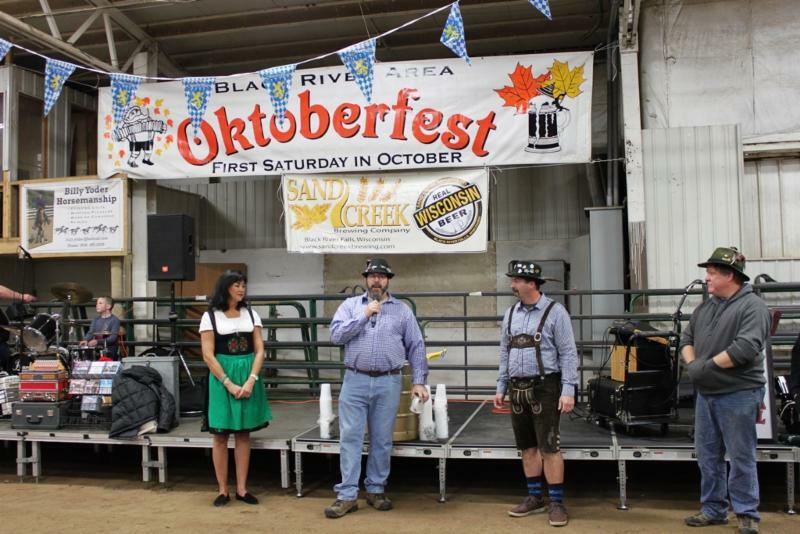 The ‘Tapping of the Golden Keg’ ceremony was performed by Sand Creek owners, Todd Krueger and Jim Wiesender, BRACC Executive Director Amanda Gunn, Representative Treig Pronschinske, and Sonya Eddy from Black River Falls High School Class of 1983, which held their class reunion at Oktoberfest! An event of this magnitude takes a great deal of participation. BRACC and Sand Creek Brewery wish to thank all of the businesses that financially supported the event and the various organizations and individuals who volunteered their time and talents to help make the event a success. 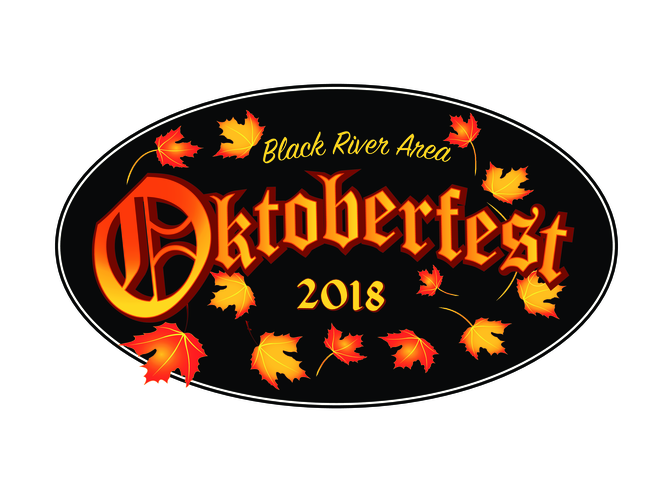 Plans are already underway for the 13th Annual Black River Area Oktoberfest to be held next October. Once again, thank you to everyone who helped make the day a huge success! 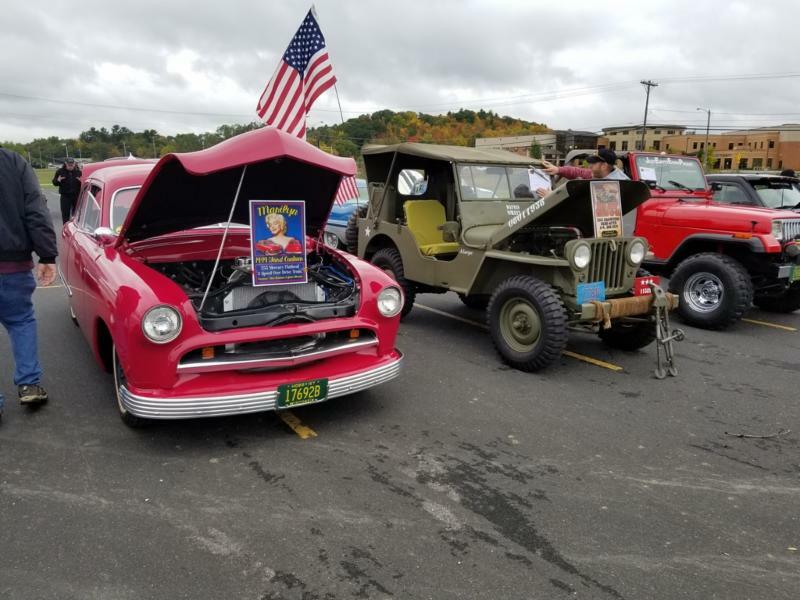 The “Things That Roll” car and motorcycle show brought in some beautiful antique cars. The Black River Falls High School Marching Tigers played a variety of great music during the event. The Tapping of the Golden Keg always comes with Sand Creek owner Todd Krueger’s rendition of the story of the marriage of Crown Prince Ludwig of Bavaria, to Princess Therese of Saxony-Hildburghausen, in the year 1810. Pictured from left are Sonya Eddy from the Class of 1983, Todd Kreuger, Representative Treig Pronschinske and Jim Wiesender. 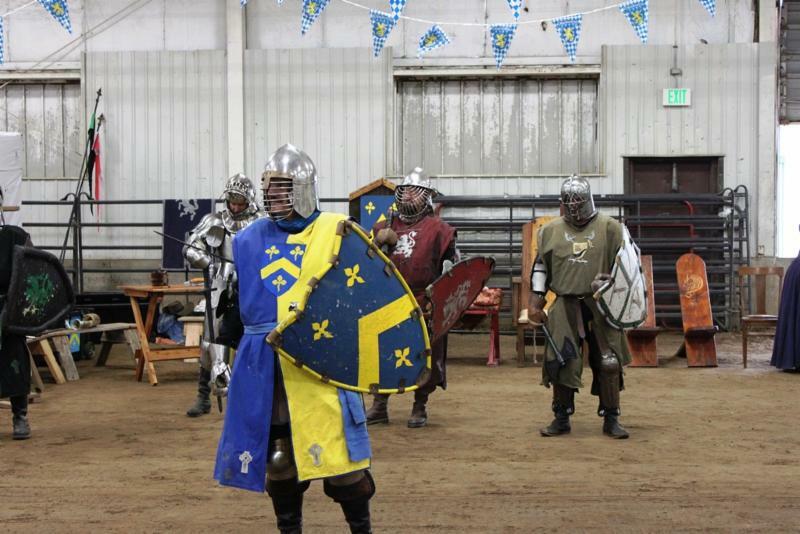 The Medieval Tourney Craft Knight demonstrations were a hit during the festival. Thank you to everyone who attended the successful 12 th Annual Oktoberfest at the Jackson County Fair Park. Thank you to the BRF Parks & Recreation Department for all of your hard work getting the arena ready – special thanks to Greg Koehler and Laura Johnston for cleaning the arena! Thank you to the many craft and food vendors, bands and other entertainers. Thank you to all of the volunteers who helped with setup, car show, ticket sales, bartending, shuttle driving, kid’s area, first aid and clean up. Your efforts, combined with the businesses that donated money, items, or time made this a true community festival. Republican Party of Jackson County, Black River Country Bank, Auto Value, Black River Falls Downtown Association, Black River Furniture Outlet, Carpi's Bar, Certified Auto Black River Falls, Co-op Credit Union, Cowboy's Garage - John Slosser, Craig Rodenberg, Gaier Construction, German Hill Equipment, Gross Motors of Black River Falls, Hair-4-All Seasons, Hardees, Hwy 54 Towing, Jackson County Bank, McCullough's Service & Repair, Merrillan Lions Club, Moe Hardware, Re-Pete's Saloon & Grill LLC, Riverside Auto, Roger Castle - Triple R Car Wash, Rozario's Pizza, Pasta & Pub, Scholze Ace Hardware, Skyline Golf Course, Smiley Bear Design, Snap On Tools, Speed Bump Auto Body, Steve's Barber Shop, Sunset Tavern, The Merchant General Store, Toy Box Rides, Triple T Tire & Lube, Waumandee State Bank, Wild Body Shop, Wood Sales and Service, WWIS FM 99.7. Miss Jackson County Court, Miss Black River Falls Court, Karner Blue Princesses, BRF Police Department & Community Service Officers, BRF EMS, Todd Krueger, Jim Wiesender, Karl Gerber, Jay & Leah Vehrenkamp, Kathy Kopp, Sammi Windsor, Leila Selke, Amanda Gunn, Robert Crampes, Glenn & Sue Miller, Scott Johnson, Kristin Franks, Diane Moen-Ross, John Ross, Wendy Trautsch, Randy & Pam Bjerke, Cathy Link, Chris Bush, Matt Streeter, Justin Dougherty, Steve Meyer, Tamra Soto, Gary Gilbertson, Ginger Heath, Laurie Crawford, Kelly Christman, Don Laufenberg, Ryan Heath, Charles Betthauser, Tom Tomter, Laura Pentecost, Alisha Arnold, Steve & Barb Fankhauser, Todd & Judy Luttio, Veronica Price, Judy Lee, Don Roberts, Heidi Tuff, Dan & Sandy Krueger, Mike Groth, Tom Krotzman, Ray & Dana Olson, Dave Sonsalla, Craig Rodenberg, John Slosser, Dave & Barb Duerkop, John & Phyllis Willock, Bill Laurent. 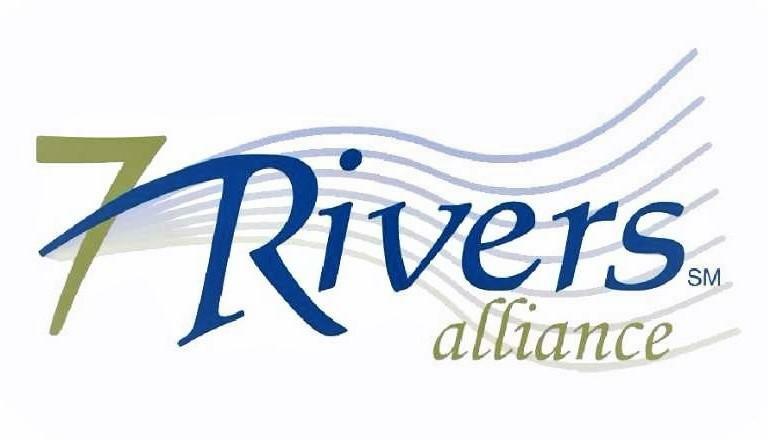 Join us for a Ribbon Cutting at Viva Cinco De Mayo (109 Main Street, Black River Falls) on Tuesday, October 30th at 10:45am to help celebrate their new location! Each year, Modern Healthcare singles out and recognizes outstanding employers in the healthcare industry on a national level. Black River Memorial Hospital (BRMH) has been selected as one of the 2018 Best Places to Work in Healthcare ranking tenth in the nation. This recognition is voted on by the employees who share how they feel about working at BRMH. Rob Stapel, BRMH Director of Human Resources stated, “The culture here promotes employee input. Our staff is the backbone of our organization and they really feel they have a voice in the decision making.” When employees find a better way to deliver service or care, they begin immediate conversation and action. Ongoing policy and process improvements benefit the work environment of each and every employee. promises to provide a high-quality customer experience. For more information and to search job openings at BRMH visit www.brmh.net . 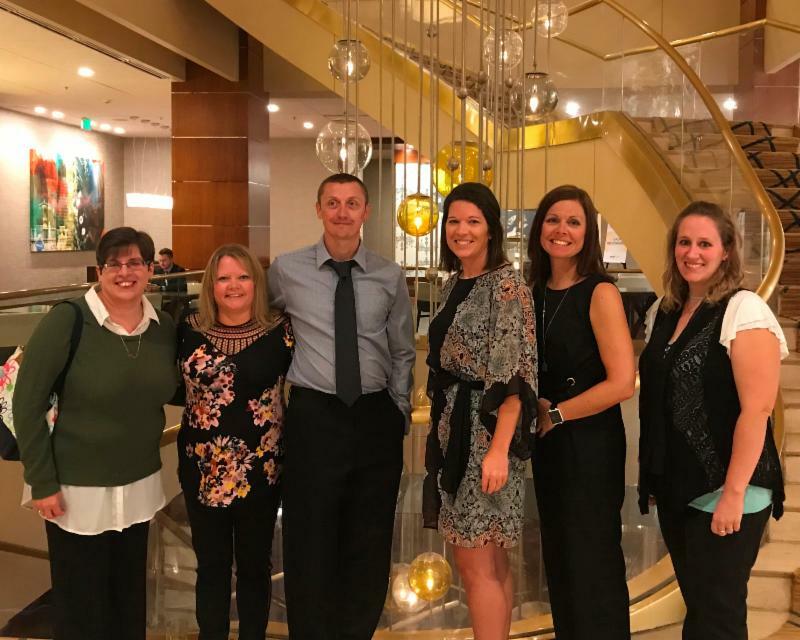 BRMH was honored at the 2018 Best Places to Work in Healthcare awards gala on September 27 in Dallas, TX. 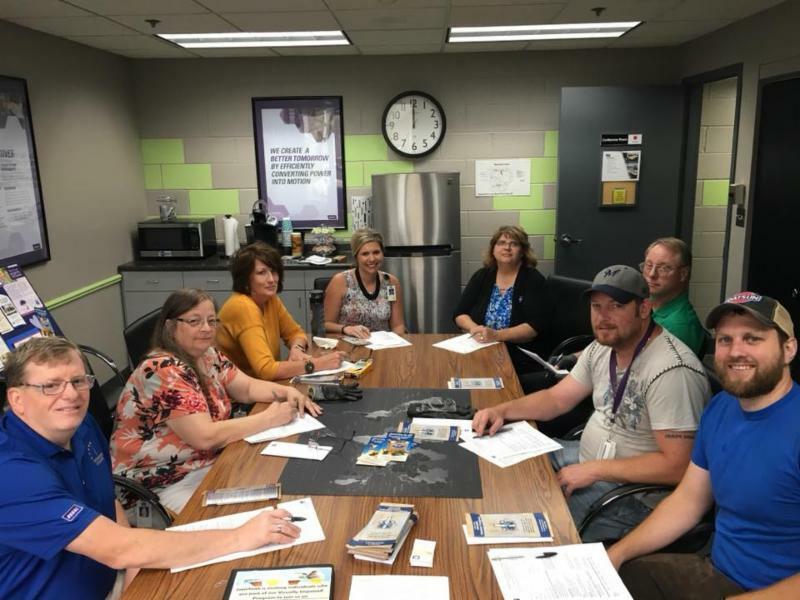 BRMH employee’s pictured (l-r) are Beth Stankey-Homecare Hospice, Abbey Honaker-Registration, Matt Honaker-Housekeeping, Molly Thorson-Surgical Services, Amy Yaeger-Marketing Director, and, Jacqui Simplot-Nutrition Services. Adam Wiesender and Margaret Roou were the September Youth Rotars for the Rotary Club of Black River Falls. Youth Rotars are selected by their school and Rotary as representatives of “good citizens” in both their school and their community. Youth Rotars spend one month attending the Rotary Club’s meetings and give reports on school events. At their last meeting, they are presented with the Rotary Club flag. The Youth Rotar Program runs from September through May with two representatives each month, except the month of December. 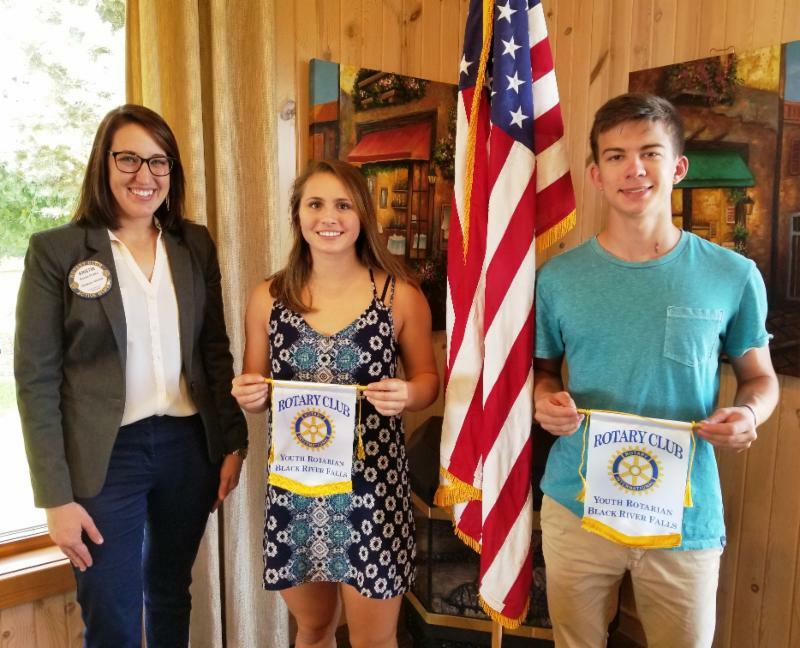 Kristin Franks, President of the Rotary Club of Black River Falls, presents the Rotary flag to Margaret Roou and Adam Wiesender, the club’s September Youth Rotars. The Paul Harris Fellow recognition acknowledges individuals who contribute, or who have had contributions made in their name of $1,000 to The Rotary Foundation of Rotary International. This recognition was established in 1957 to show appreciation for and encourage substantial contributions to the Rotary Foundation Fellowships for Advanced Study program. Many notable figures have been named as Paul Harris Fellows, including U.S. President Jimmy Carter, U.S astronaut James Lovell, UN Secretary-General Javier Perez de Cuellar and Jonas Salk. Receiving recognition as a new Paul Harris Fellow were Dr. Don Delebo, John Drace, Dr. Chanelle Holliday, Dana Olson and Michele Steien. Barb Brower and Kay Finch received recognition as a multiple Paul Harris Fellow. Receiving recognition as a Paul Harris Fellow from the Rotary Club of Black River Falls were, back row from left, Barb Brower, Dr. Chanelle Holliday, Kay Finch, Michele Steien and Dana Olson. 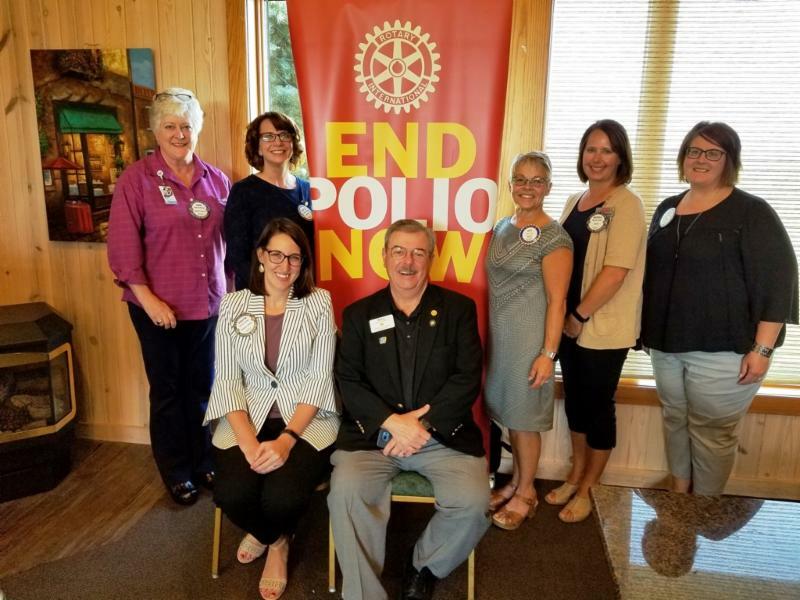 They are pictured with Rotary Club of Black River Falls President Kristin Franks and Rotary District 6250 Governor Bill Hoel. Not pictured are John Drace and Dr. Don Delebo. Bev Lloyd’s father, two brothers and son all served in the military. 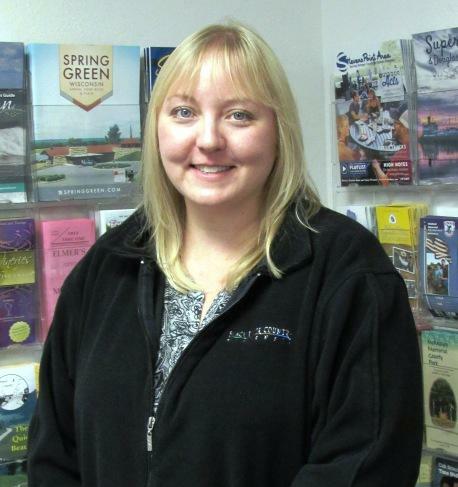 So, it wasn’t difficult for her to make the decision to help out veteran projects like The Highground in Neillsville and the Never Forgotten Honor Flight. Bev takes a portion of all the activities she plans for Pray Days, held each year in September, and donates the money, sometimes to The Highground and this year to the Never Forgotten Honor Flight. The Never Forgotten Honor Flight is a not-for-profit organization of dedicated volunteers providing veterans with closure, gratitude and respect by flying them to Washington, D.C. to visit the memorials. Priority is given to senior veterans – World War II-era, followed by Korea-era and, lastly, Vietnam-era. Each era will fly on a first-come first-served by the date of their application. This trip is absolutely free for the veterans, because of the financial assistance provided through donations. There are four flights each year - in April, May, September and October (when weather is the nicest). Currently, WWII, Korean and Vietnam-era veterans are being taken on the honor flight. Co-founders of the Never Forgotten Honor Flight Mike Thompson and Jim Campbell traveled to Pray last week to accept Bev’s donation. “This will allow for three more veterans to make the trip,” shared Mike. 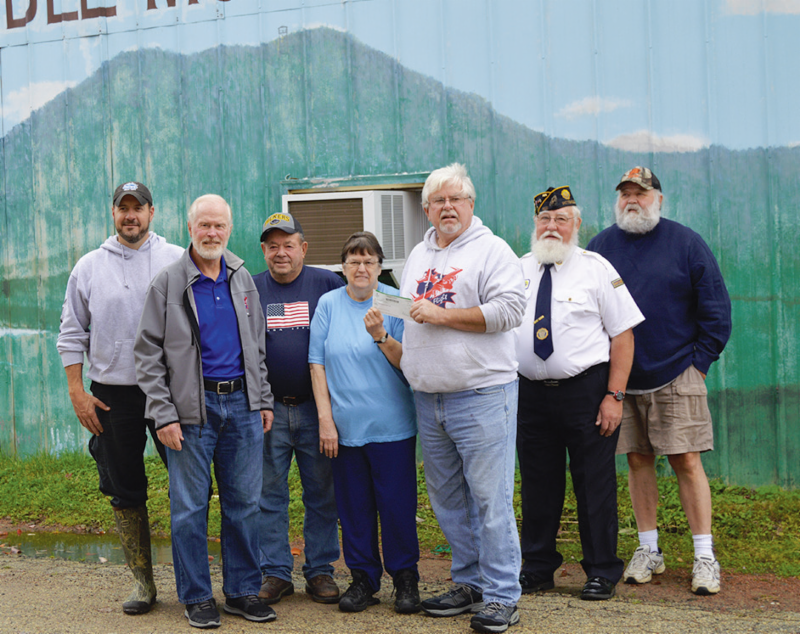 Bev’s Saddle Mound Tap owners Bev (center) and Eddy (third from left) Lloyd recently donated $2,000 to the Never Forgotten Honor Flight. Bev said it’s her friends through the years and those attending Pray Days in September that helped make the donation possible. “Without my friends, I wouldn’t have been able to do this,” shared Bev. Pictured with the Lloyds is Brad Overlien, Never Forgotten Honor Flight co-founders Mike Thompson (second from left) and Jim Campbell (third from right), Pittsville American Legion Post 153 Commander Marv Kummer and Jim Grutzik. Volunteers from Regal are helping with our Groceries to Go Program, which delivers groceries each week from Hansen’s IGA to individuals who are home bound. “We need up to three volunteers a week to help with this, one delivering as far as Merrillan or Taylor area,” explains Chown. “Regal is also reading for the Visually Impaired Program where individuals who have vision issues can get a digital copy of the local papers to listen to. This is one of our oldest programs and began nearly 30 years ago when Interfaith first began.” If you know someone who has vision issues and could benefit from this program, have them contact Interfaith for more information. In 2017, Interfaith coordinated over 6,500 hours of services to individuals in Jackson County. “With the growth of our Groceries to Go program and our new Time for You Respite Program this year we will be closer to 7,800 hours,” Chown states. Interfaith helps over 80 different individuals each month and with the aging of the population this number will continue to grow. According to the U.S. Census Bureau, b y 2030, all baby boomers will be older than age 65. This will expand the size of the older population so that 1 in every 5 residents will be retirement age. “The good thing is many of our local retirees are volunteering to assist Interfaith,” says Chown. For more information or to volunteer call Interfaith at 715-284-7058. Regal Employees from left, Dean Smith, Shirlie Nimmo, Patti Krahenbuhl, Reva Witte, Peggie Busse, Al Viste, Aaron Jensen, Jacob Holty. ﻿ The Wright Place Saloon & Grill provides its guests with delicious American style food with a western twist, BIG FLAVOR, great cocktails & lots of fun! Resolute Business Partners is a B2B consulting firm filling outsourced services In human resources, occupational/industrial safety, employee health and wellness, as well as branding, design and more! Our firm consists of a group of professionals that can offer your business many of those services that the larger corporations have. Resolute Business Partners will analyze your business needs and collaborate to create an action plan optimizing your business performance, compliance and resource utilization. Contact us today to learn how our team can save your business both time and money. Badger Flag Pole & Monument is a full service flag pole and monument dealer. We handle everything from sales to maintenance and installation. Thank you to Chris and Sherry Hardie at Brambleberry Winery for hosting the October Business After 5 event that took place on Wednesday, October 10th. Guests were able to tour the Bed & Breakfast and new Wedding Pavilion and were treated to delicious food made by Sherry and beverages from Brambleberry, Sand Creek Brewery and Ripp Distributing. Everyone had a wonderful time! Join us for our next Business After 5 event at Comfort Inn & Suites on Wednesday, November 7th from 5:00 p.m. until 7:00 p.m. Please note that this is the FIRST Wednesday in November. 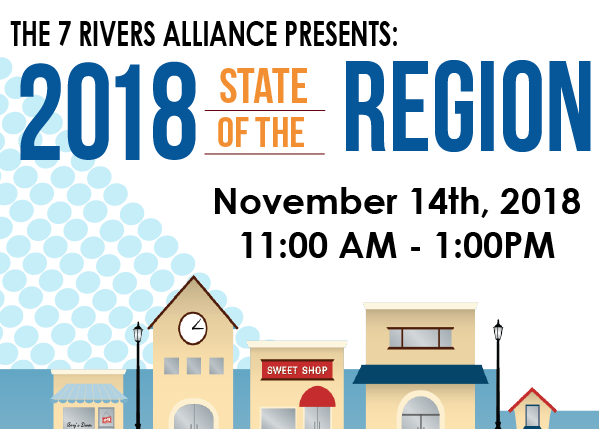 Registration is open for the 2018 State of the Region event. 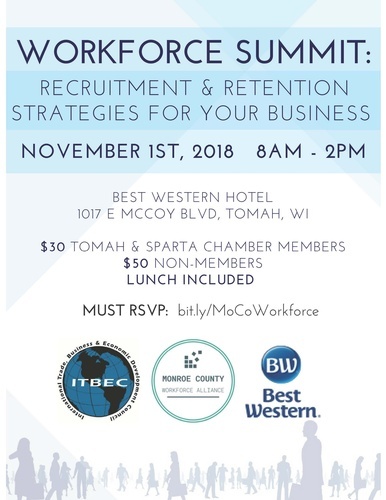 This year the event will be held at the AmericInn in La Crosse, WI on Wednesday, November 14th from 11:00 a.m. until 1:00 p.m.
Come listen to keynote speaker, Jeff Thompson from Gundersen, as well as labor experts from Minnesota, Iowa, and Wisconsin who will be discussing workforce development. 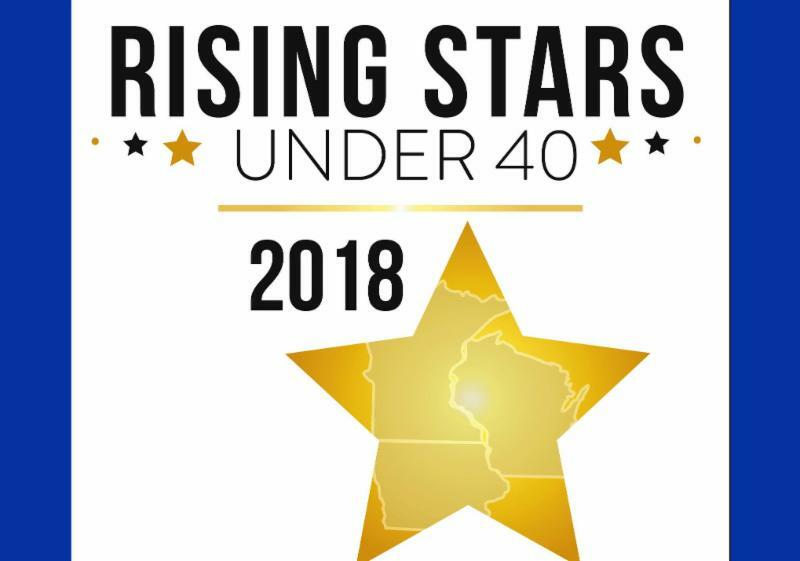 After a long process of receiving many worthy nominations, the 2018 Rising Stars Under 40 have been selected! The award winners are all great additions to their professional fields as well as their local communities. Amanda Hedlund, Alicia Suessmitth, Kristin Franks, Joe Protz, Kristen Gust, Adam Sonntag, Jacob Kanis, Amanda and Jeremiah Ninneman, Darrek Orwig, Kelly Sackmaser, Michelle Barness, Stephanie Neuman, Caroline Gregerson, Carolyn Flock, Juan Jimanez, Matt Boschka, Adam Fleis, Josh Blum and Scott Butler. 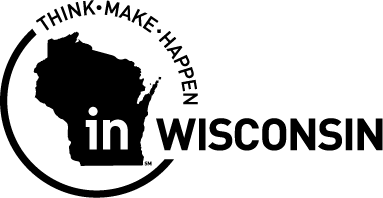 Something Special from Wisconsin™ is a trademarked marketing program administered by the Division of Agricultural Development of the Wisconsin Department of Agriculture, Trade and Consumer Protection, based in Madison, Wisconsin. Founded in 1983, the Something Special from Wisconsin™ program has helped its members stand out above the rest. The program logo provides a quick and reliable way to identify genuine Wisconsin products and services at grocery stores, retail outlets, farmers' markets and restaurants throughout the state. Program members benefit from having a "Wisconsin" brand identity that consumers recognize as top quality and high value. Products showcasing the logo enjoy a strong competitive edge with consumers. Surveys indicate that over 70 percent of Wisconsin consumers are more likely to purchase a commodity made or grown in Wisconsin than one from outside the state. Any business, no matter how big or how small, may participate. 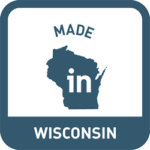 You can apply for approval to use the Something Special from Wisconsin™ logo if at least 50 percent of the value of your product or service is attributable to Wisconsin ingredients, production or processing activities. 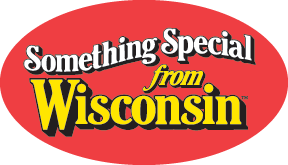 Whether you market your products and services locally, regionally, nationally or internationally, the Something Special from Wisconsin™ logo brings recognition and credibility, building upon Wisconsin's reputation for providing the finest products and services available. More information about the Something Special from Wisconsin™ program is available by emailing datcpssfw@wi.gov . 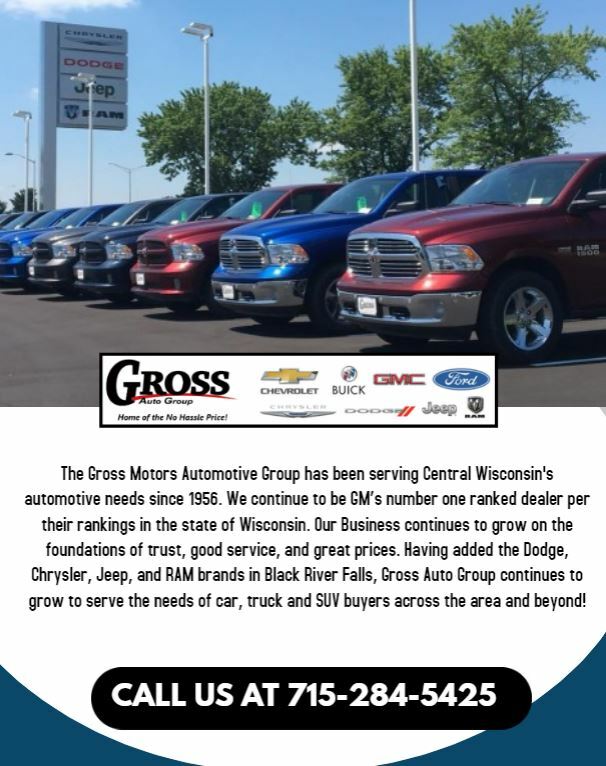 We have several openings for Business After 5 in 2019. Give us a call today to reserve your spot.